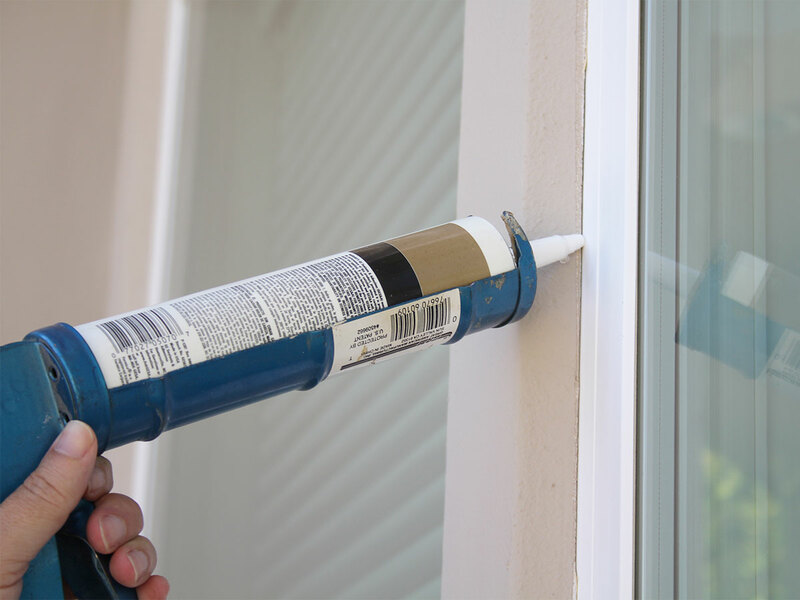 Exterior caulking is usually around windows and other trim pieces on the exterior siding. Being exposed to harsh climate elements like heat, humidity, and rain with drastic temperature variations wears out caulking. It is important to remove the old, cracked, and worn out caulking with new caulking to prevent moisture damage and insect entry points into the home. The tools you need for this task includes a utility knife, a scraper or putty knife, a caulking gun, and the appropriate exterior caulking product with the right color choice you want. The first step is to remove the old crack caulk. You can use the utility knife to cut away the edges, and a scraper to pull out all the old caulk. You should cut the tip of your tube of caulk to be slightly bigger than the joint you need to caulk. Insert the caulking tube into the caulking gun. Keep constant pressure on the gun as you go down a joint or across a vertical joint line. Here is a great video from Ron Hazelton on how to do these steps.